Will Kelly Run for Senate? 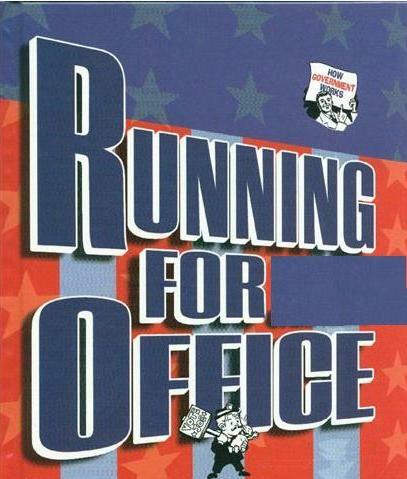 This release is prepared now anticipating Kelly may announce his candidacy sometime before October, 2011. This is not an announcement. Brian Kelly, a former IBM Senior Systems Engineer and recently retired Assistant Professor of Business and Information Technology (BIT) at Marywood University in Scranton, announces his candidacy for the United States Senate in Pennsylvania. Kelly, of Wilkes-Barre, is seeking the Democratic nomination to challenge incumbent Democratic Senator Robert P. Casey, Jr. of Scranton. Of these two major candidates for the Democratic nomination for Senator from Pennsylvania, one is a full-time politician. The other one is of the people. Brian Kelly has worked in the private sector all his life. At his first campaign meeting recently, Kelly took the opportunity to address friends and supporters, while answering the question as to why he is running for office: "to return our government back to the people." Kelly noted that government spending is out of control and that only a major change in leadership can turn government away from more unpopular tax-payer funded bailouts, crippling taxes, government-takeovers, and a progressive government that is becoming more and more socialist. “We must create jobs, not destroy them. Today's policies are killing US businesses. This President and this Congress hate business and yet, without business, we have no economy and no economic growth. Like many, I fear the building of a huge, never ending bureaucracy wherever you look. Government is the only "industry" prospering with hundreds of thousands of new employees including 16,000 new IRS agents to intimidate taxpayers," Kelly cautionsed. .
"I fear the government takeover of healthcare, the disrupting of the doctor patient relationship, and the bankrupt notion of repressive energy tax legislation. I fear that all of this excessive government, which the incumbent supports, will make it tough for Americans to live like Americans. You can be assured that I will work to stop these flawed changes brought about by poor leadership." Kelly said. Kelly said that in order to restore the economy, "a brand new Congress must be committed to getting government to stop micro-managing the economy." Kelly told his supporters, “Robert P. Casey Jr. has been joined at the hip with president Obama in destroying America from the first day they met in the Senate. Casey has spent his six year Senate career pushing for bigger government, higher taxes and what can be argued as tax-payer funded bonanzas and even jobs for the politically well-connected. This is exactly the medicine that we do not need." Kelly offered. Kelly said: "It is no accident that at the heart of the corruption problems in Northeastern PA, a certain few are still well taken care of under this huge political umbrella, while the rest of the taxpayers waste their ink writing to this Senator. These favors to special interests near and far squander economic resources, reduce economic growth, and are just plain unfair and wrong. As good as Robert P. Casey Jr.'s father was in doing what is best for Pennsylvanians, the Senator spent all his time doing what is best for Harry Reid and Nancy Pelosi, and Barack Obama. It is time to return this important office back to the people. It is time for Pennsylvania to have a level playing field wherever government touches the public." Government takeovers, national debt, a huge deficit, and the cap and trade legislation are being rejected by all Americans. Pennsylvanians will be hurt even more than others by the cap and trade "energy tax" as we still have a viable coal industry. Yet, the incumbent voted to kill the energy industry. Besides being unfriendly to Pennsylvania business and industry, the only creators of lasting jobs, Robert P. Casey Jr. is vulnerable in 2010 because his positions mirror those of the unpopular Speaker of the House, Nancy Pelosi. Why would our Senator, against constituent write-ins, support the unpopular “health care reform” bill and other socialist, budget busting legislation? It's been hard to find Mr. Casey lately to ask him why he chose not to represent Pennsylvanians in this important legislation. He was so obviously absent from the "Tea Party" town hall meetings in the summer that many felt he had retired and would not seek reelection. Robert P. Casey, Jr. may have done a good job for California and for Nancy Pelosi but he has lost touch with Joe the plumber and average Pennsylvanians. Kelly sees the term “culture of corruption” as overworked but it surely fits the 111th Congress and the progressive Senate in the 112th Congress. "It is not enough just to unseat our own Congressman but all the progressive members of the House -- every one of them must go, as well as 1/3 of the Senators. The broom does not necessarily have to sweep them all out but there are not many of these actors who have been doing the people's business. The Senate is out of control in trying to please Harry Reid and Barack O'bama. Too many in Congress have chosen to serve by using their offices to benefit special interests at the expense of taxpayers. A new broom sweeps clean." Kelly noted. Though he is most concerned about the people of Pennsylvania, Kelly says, "Look at the heavily-criticized “Stimulus Package." This was correctly labeled "Porkulus" by its critics. "They were right. And, how about the controversial 'Wall Street bailouts?' Reckless spending will bankrupt America and it must stop. Perhaps Senator Casey was so thankful for Barack Obama giving him national prominence and fame that he forgot how to say, 'No!' "
Kelly boasts that he has the backing of no political machine and he is taking no machine contributions. "It sure should save a lot of time if I did not have to run any fund-raisers." Kelly said. He is proud to say that his total war chest from contributions when he ran for Congress was $0.00, and he is nowhere close to having to pay the "Obama Rich Tax." Kelly knows that running for the Senate will require some campaign funding to bring forth his message statewide. To remain independent, he will limit contributions to no more than $100.00 and will primarily use the impersonal Internet for fund-raising. Once he gets on the statewide ballot, he feels his message will be brought forth but he is not going to depend only on the good will of the press, especially since he is a real Democrat, and not a progressive socialist like the incumbent. When he ran for Congress against Paul Kanjorski in 2010, Kelly was listed first on the ballot. The people will recognize that a regular old "John Doe," not a political operative has made himself available to the people, and running for the Senate does not require as good a ballot position." Kelly said. However, he won't complain for sure if he gets the first slot on the ballot. Kelly has an affinity for the "Tea Party People." and those like you and I, who may not be part of a named group but who nonetheless are justifiably enraged at the unresponsiveness of our government. He said: "At this stage of my life, I see things that can be so much better if Americans had better representation. I feel in many ways like George Bailey from the Building and Loan in "It's a Wonderful Life," seeing the face of the corrupt Mr. Potter in too many hallways of government. I'd like to take the spirit of Jimmy Stewart as George Bailey and keep all the Potters out of government for an awful long time--even if it means that I have to put in a few years myself." Kelly is not interested in a career in politics and when elected will stay for just one term. Kelly says: "A regular person holding an office becomes a politician when trying to be reelected." Robert P. Casey Jr. will have a massive campaign warchest and that means he will have an awful lot of money to spend making Pennsylvanians know he is their Senator. But, has he really been Pennsylvania's Senator. That is for the people to decide despite the dramatic financial advantage he will have over challenger Brian Kelly . Kelly expects the public to be overwhelmed by the media war chest possessed by the incumbent. "The biggest thing I have going for me is that I will be on the ballot. When the constituents of Pennsylvania get in the "voting booth," no matter how many dollars my opponents will spend to advance their candidacies, the very last ad voters will see is the name "Brian Kelly" right there on the ballot, and that means Kelly is the real deal. "The voters will ask themselves, 'is he a politician?' and the answer of course is 'no.' As voters across the US are trying to free themselves from machine politics, with votes to the highest bidders, I am betting that in Northeastern PA, being 'of the people' will matter more than anything April 24, 2012. " Kelly said. Kelly, unlike his opponent, is not a lawyer. Like most of us, Kelly sees that as another big advantage. Too many elected officials are lawyers and it is no accident that the laws are unnecessarily complicated for the people to read. "That may be good for lawyers but it is not good for the people. Look at the poor legislation passed in the last two years --despite public outcry. Soon, the Congress will break the 3000-page legislation barrier without a single page being read." As an independent computer expert and consultant, Kelly is accustomed to solving big business problems. His career in Information technology and his 23 years with IBM and more importantly, his ability to listen and think about the big issues we are all facing, give him the background to figure out the right solutions for US and then fight for them. For most of his life Kelly, like you, has observed the damaging results of entrenched power of all sorts on the lives of those of US living in Pennsylvania. Politics! Politics! Politics! Nepotism! Cronyism! And, then more of the same! We have it all in Pennsylvania. For Kelly it has gotten too much to take. Along with the mess the Country is in now, that is a major motivator for his candidacy for Congress. "While collecting signatures to get on the ballot when I ran for Congress, certain families that I have known for 30 years would not help me because the incumbent might learn that they carried my nominating petition. I guess what was not said is that they really have a big stake in the game. Such families may no longer be favored with big political favors from the incumbent -- such as government jobs. It really is disgusting and it is a shame. The playing field should be level for all citizens for all matters. It will change quickly when you send me to Washington to do the business of all the people, not the favored." Kelly is a defender of the Constitution and in two of the three 2009 books, the full text of the Constitution is included as free appendices. Though not claiming to be the originator of the "Tea Party" movement by any measure, he does take pride in the thought process behind his 2008 Taxation Without Representation book. Kelly smiles as he reads the subtitle, "Can the U.S. Avoid Another Boston Tea Party? By visiting the website at www.kellyforussenate.com or by reading his books, it is easy to know that Brian Kelly stands where you stand on the issues of the day. He sounds like one of US because he is one of US. On February 26, 2010 Brian was pleased to host a major signature event at the home site, the Barney Inn, 189 Barney St. "Over forty different people helped him get 1519 signatures overall. As you know, 1000 signatures are needed when running for Congress (House). What a job! A big thank you to all who helped and all who wished him well. This time, running for US Senate, Kelly will be at the Barney Inn again but this time, 2000 signatures are needed. That means he will have to collect about 3000 signatures. On April 24, 2012, please vote in the Pennsylvania Primary, please vote for Brian Kelly. He is one of US. "Don't forget to vote. I promise that you will have change --- this time it will be change that you can live with. And, won't that be a grand day. --------- Best wishes for a better America from Brian Kelly."